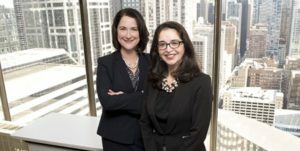 Delgado Rompf Bruen LLC is proud to announce that Marta Delgado and Elizabeth Rompf Bruen were both named Leading Lawyers by Leading Lawyers.com for 2018. Leading Lawyers are chosen through extensive research and surveys of thousands of attorneys across Illinois. Less than 5% of lawyers licensed in each state receive the distinction.